للمسافرين الذين يرغبون أن يعيشو كل ما تقدمه واناكا, Lake Hawea Hotel هو الخيار الأمثل. إن موقعه الجيد الذي يبعد 12.0 km فقط عن مركز المدينة يساعد النزلاء على الاستمتاع بمعالم المدينة ونشاطاتها. يوفر الفندق بفضل موقعة الجيد وصولاً سهلاً إلى أهم معالم المدينة.
. استمتع بالخدمات الراقية والضيافة التي لا مثيل لها بهذا الفندق في واناكا. يقدم الفندق فرصة للاستمتاع بشريحة واسعة من الخدمات بما فيها: واي فاي مجاني في جميع الغرف, مرافق مخصصة لذوي الاحتياجات الخاصة, تسجيل وصول/خروج سريع, تخزين الأمتعة, واي فاي في المناطق العامة . بالإضافة لهذا,تتضمن كل غرف الضيوف مجموعة واسعة من وسائل الراحة . بعض الغرف توفر حتى تلفزيون بشاشة مسطحة, اتصال لاسلكي بالإنترنت, غرف لغير المدخنين, تدفئة, مكتب لإرضاء أكثر الضيوف تطلباً. صممت خدمات الاستجمام في الفندق والتي تتضمن مسار جولف - ضمن 3 كم, التزلج على الجليد, صيد السمك, ملعب للأطفال, كرة الطاولة لمساعدتك على الاسترخاء والراحة. استمتع بخدمات لا يعلى عليها وعنوان ذو اعتبار في Lake Hawea Hotel . Sorry but the hotel is located directly across from the lake and was very windy all night. In addition the floors are timber and so we could hear next door walking and children bouncing in bed. Just too noisy for the night. We book a family room. It comes with 1 queen bed and 2 single bed. The bathroom is new and clean. The view is beautiful from the family room. Everything is so good, clean and quiet. Will definitely come back again. We had a great view of the lake and also within 1 minute walking distance to the Lake for a short walk. the room was a duplex, with a double bed upstairs and a double bed below. very spacious with 5 persons and all our luggages. the parking lot was directly outside the room thus very convenient. check in and check out was fast. had a great view of the lake and also within 1 minute walking distance to the Lake for a short walk. the room was a duplex, with 2 single bed upstairs and a double bed below. very spacious with 3 persons and all our luggages. the parking lot was directly outside the room thus very convenient. check in and check out was fast. paid for breakfast the next morn upon check in and got nzd$4 off per pax. breakfast was worth the money. restaurant was facing the lake and we had a peaceful meal to start the day. This was the most luxurious accommodation we stayed in and it wasn't more expensive than the other places we stayed at, so we felt very spoilt having such a magnificent view from our room, which was spacious and beautifully furnished. The staff were lovely too. The restuarant had a nice children's menu and a lovely relaxing feeling to it. I wish I had time to stay longer. I think Lake Hawea Hotel is in a very special location, so peaceful. this hotel gave the option to purchase an extra bed which turned out to take up the very little room we had. we ended up having to purchase a whole other room to fit our guests comfortably and we never received a refund on the extra bed that we paid for and did not use. 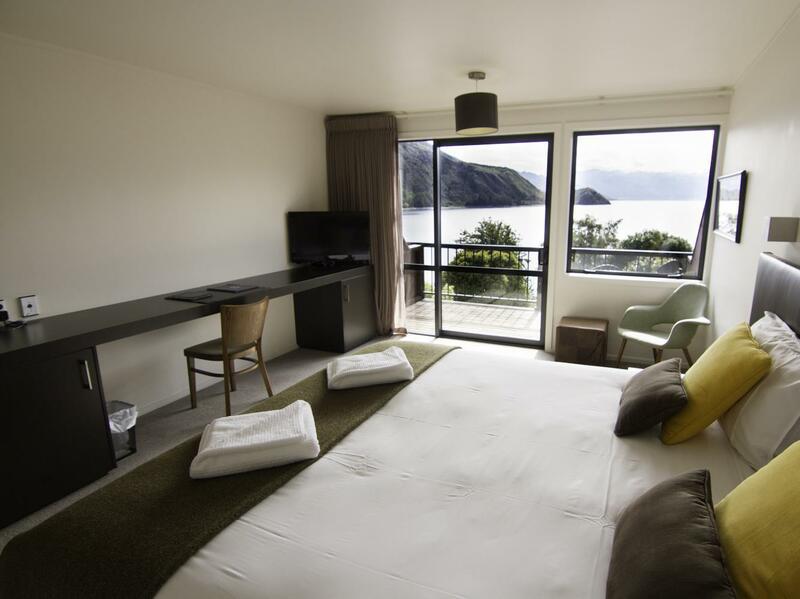 Thank you for staying at Lake Hawea Hotel, it is such a beautiful spot right beside the Lake. We hope you enjoyed the rest of your travels. Without question the best scenic view from a hotel we’ve had on our trip. Stunning. Waking up with the perfect view of Lake Hawea, definitely worth it. Room is big and clean. Great place to stay overlooking the lake, bar and food available, friendly, what else could you need, a clean and well looked after room, top marks. The room is clean and comfortable with nice view. But because we come as a group and do our own cooking, the room have no kitchen or small pantry so only buy food from the restaurant next to the hotel. 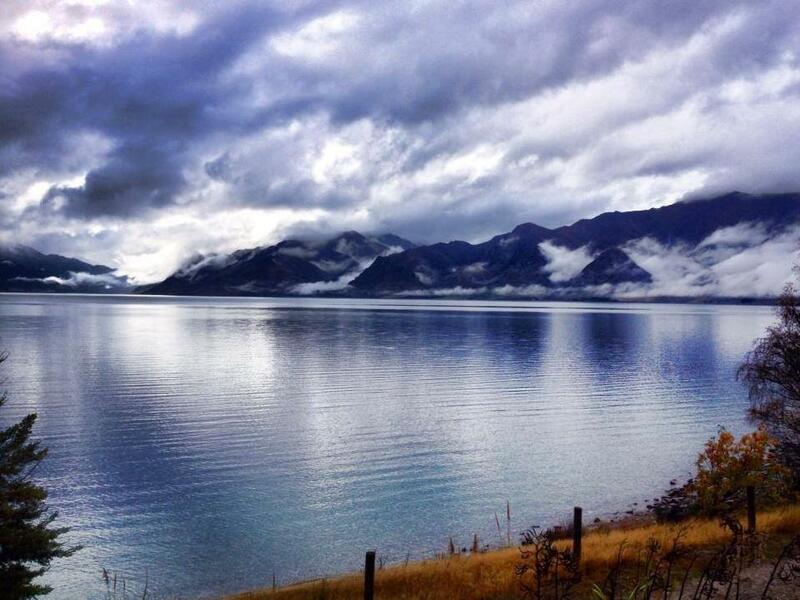 Lake Hawea Hotel gave us the most fascinating view for our New Zealand road trip. 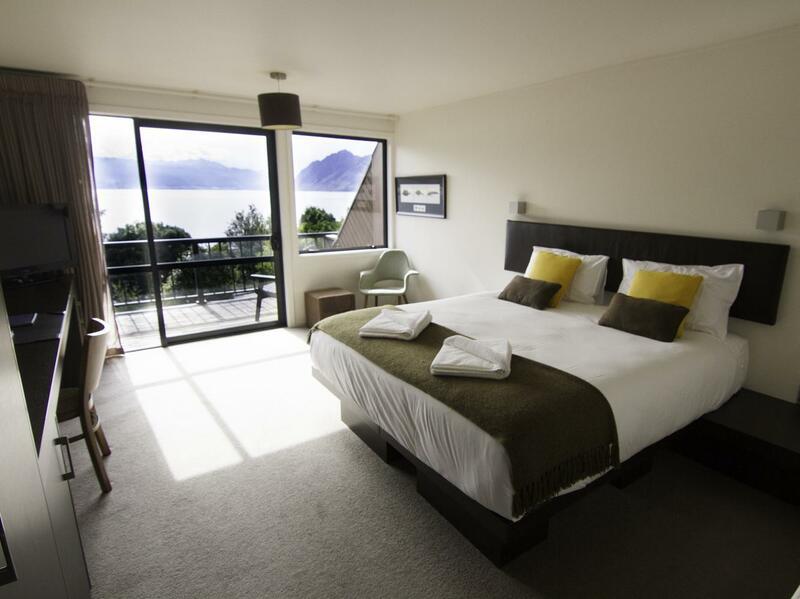 While it is a bit of a distance from Wanaka, the drive is worth it given the view from the lake and mountain view room is absolutely gorgeous! However, this is a no frills hotel so don't expect facilities to be of a 5 star modern hotel. A little outside of Wanaka, but the view over the lake in the morning from the room is very pretty. It was a bit of holiday chaotic when we stayed as they were very short staffed in the restaurant and bar, but the food was very nice and it was great to be able to cosy up to the fireplace for a pre-dinner drink. Nice place to stay an easy 15kms from Wanaka , very clean also free wifi plenty of room for a family and restaurant serving nice food what more could you ask for and with an awesome view right on your doorstep . The place come with bar, restratuant and perfect view. Especially morning time view best of the place we stay. The lake view from our room make us relax and fresh. It very cold place especially winter.